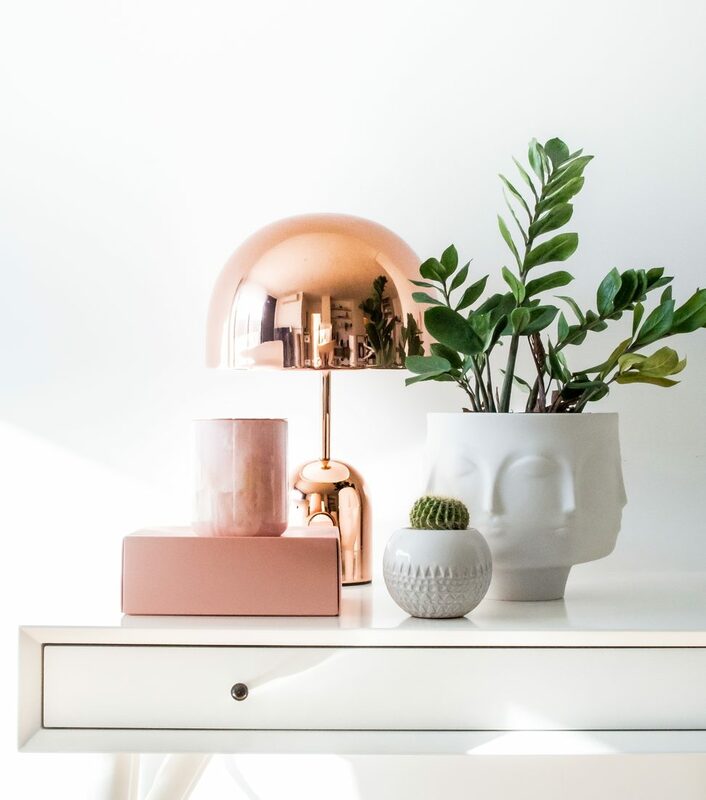 We strive to create products of the highest quality, and we believe our ideal customers are a lot like us: people who value experiences over things, who believe in quality over passing fashions, and who appreciate sustainability, beauty, and craftsmanship in the items they choose to grace their homes and express their personalities. Built around the principles of fine craftsmanship, poetic vision, and sustainable, innovative design, The Luxuriate creates one of a kind, luxury perfumed candles . We seek to marry opulence with minimalist refinement, creating products that embrace the unexpected and unique facets of natural stone and the evocative stories and memories conjured through perfume. Our collections are sculpted as objets d’art, imbued with stories of travel, artistry, and natural beauty. Designed to last long after the burn is done through our patent pending refillable concept and vision – A Forever Candle. 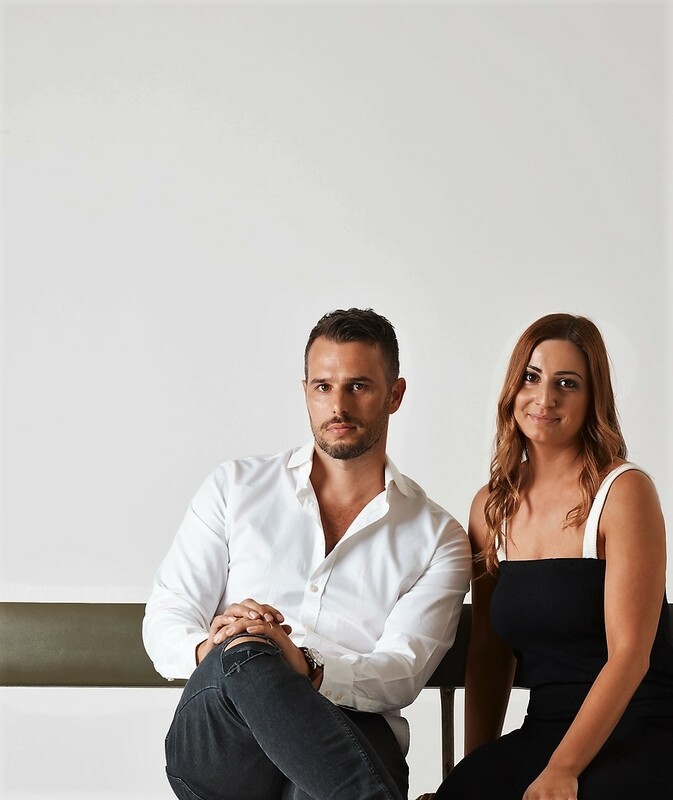 Creators Joseph & Marie Belfiore have always had a deep love of design, informed by a life of travel and a profound love of the natural world. The Luxuriate follows each person’s obsessive passion with perfume and design, and the importance of creating products with purpose. Marie has always had a deep love of scent, starting with childhood memories of long walks with her dad, who would pick roses and other flowers for her. To this day, he still brings her a single flower when he visits. Her fascination with their colors and petals expanded to include their distinctive scents. Over time this translated into a particular passion for perfume and her profound love of scent led her to create her first scented candle. The scent she chose? Roses. From paying homage to childhood memories to using scent to set the tone and mood for the day, Marie’s passion for perfume has deeply informed The Luxuriate’s approach to perfume’s power to transform and transport. She then set about working with a renowned fourth generation perfumer to recreate scents that conjure the places, memories, and experiences that have inspired them most. Joseph’s eye for design, combined with his passion for creating lasting objects of beauty to pass on through generations, is what has fueled his work at The Luxuriate. His love of natural materials, their idiosyncrasies and unique visual and tactile capabilities, is what informs his search for practical, artistic ways to extend their life, preserve their singular beauty, and transform them into art objects that intrigue and delight. The handcrafted stone candle holders, unique to The Luxuriate and with a sustainable design, are the culmination of years of passionate innovation and experimentation on his part, blending minimalist refinement with an eye towards creating a legacy of fine artistry and craftsmanship. Every part of The Luxuriate’s product design is based on discernment: on seeking out and finding the best quality of raw materials to work with, and working with their particular idiosyncrasies, refining their unique qualities and beauty to their purest form. Each holder is finished by hand, and created to let the beauty of the material speak for itself. The result is a design that is striking in its refined simplicity, and distinctive in the quality of its craftsmanship. The Luxuriate’s perfumed candles go through a dedicated process of design, sourcing, and manufacture to ensure the highest quality. They are formulated using a coconut and soy blend wax with pure cotton wicks to ensure the best possible burn and dispersal of scent. We work closely with Australian growers and vendors to source the finest local essential and fragrance oils, ensuring the quality and complexity of each candle’s scent. They are then individually hand poured in Melbourne, Australia, into the carefully crafted borosilicate glass holders, which are designed to fit seamlessly into our natural stone holders. This innovative design allows for simple and clean exchange of a perfumed candle once burned. To create each distinctive and evocative scent, we work closely with a fourth generation perfumer, whose history in perfumery goes back to 1855. Together, embark on a process of painstaking design, taking inspiration from travels around the world in order to recreate breathtaking experiences through scent. 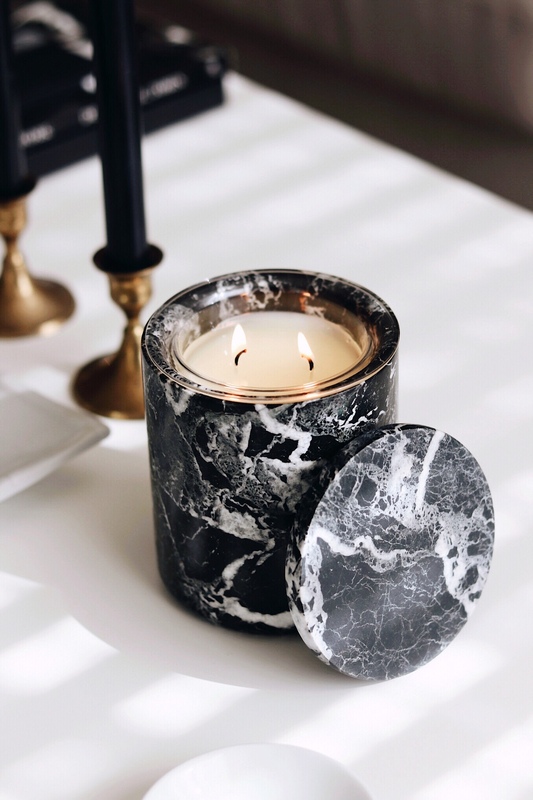 Each candle’s scent is characterized by richness and complexity, designed to unfold throughout the burn time to reveal new facets of the landscapes, materials, and memories that inspired them. After a lengthy process of refinement, they are blended using the best quality of locally sourced oils and combined with the coconut and soy blend wax that best showcases the beauty of the perfume. The Belfiores are ardent world travelers, drawing inspiration from a rich variety of places and experiences. With this passion for travel, The Luxuriate’s line of scents celebrate vignettes of voyage and experience: moments of immersion in the unexpected, the particular, the breathtaking and the unknown. 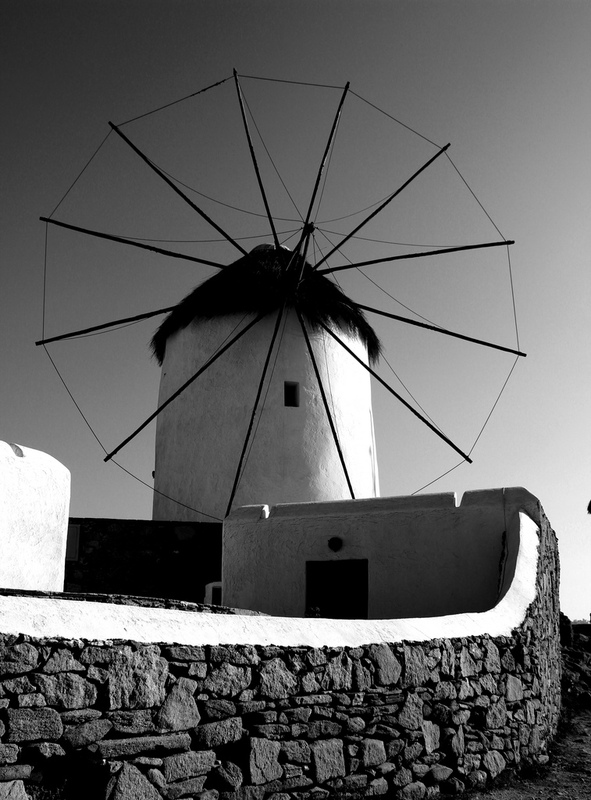 Our products are made with world travelers in mind: people who relish the unexpected, and the thrill of discovery. Each of our scented candles is an immersive sensory experience, recalling adventures, places, people, and moments in time that celebrate your experience, your memories, your journey.